16024 ft (4884 m) Highest point in Indonesia and in Oceania . The existence of glaciers in New Guinea was first recorded by the Dutch navigator Jan Carstensz in 1623, who saw them from the coast over 50 miles (80 km) to the south. The highest mountain in New Guinea bore his name until Indonesia took control in the 1960's, when it was renamed Puncak Jaya ("Victory Peak"). 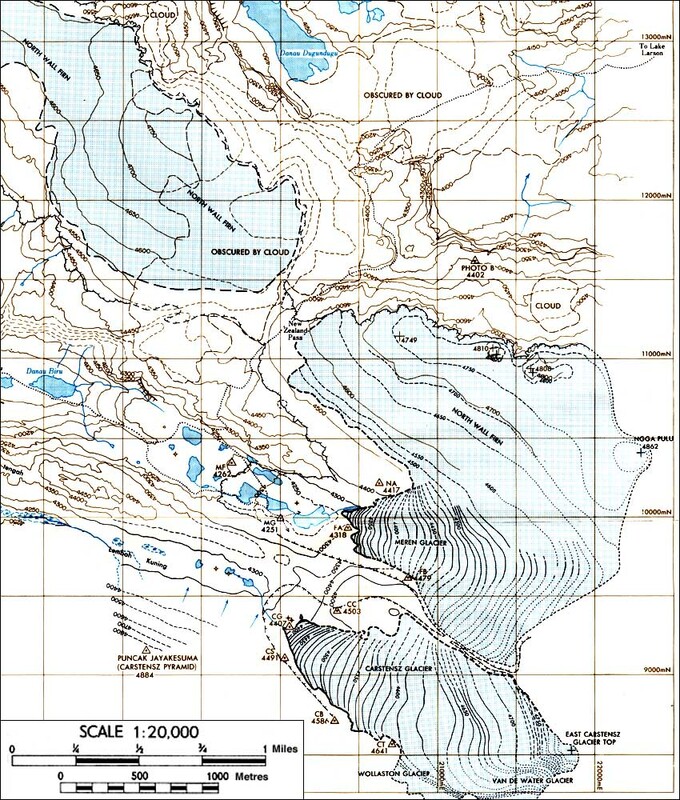 The Puncak Jaya massif has four surviving glaciers and is probably the only skiable peak in New Guinea, although two small hanging glaciers still exist on Ngga Pilimsit (Idenburg Top) about 8 miles (12 km) west and a small summit icecap crowns Puncak Mandala (Juliana Top), located in the Star Mountains about 200 miles (300 km) to the east. 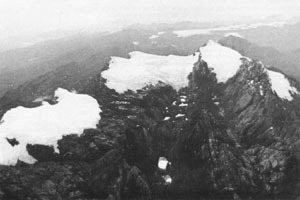 These glaciers are all receding due to the effects of the warming climate, and the small ice cap previously found on a fourth summit in New Guinea, Puncak Trikora (Wilhelmina Top), had disappeared by about 1960. 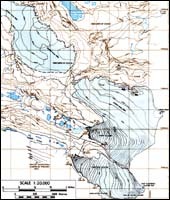 The highest skiable point in the Puncak Jaya massif is Ngga Pulu, located at the head of the Meren Glacier at 15950 ft (4862 m), while the summit block of Carstensz Pyramid is bare rock for over 1000 ft (300 m) above the toe of the Carstensz Glacier. Access to the area is very difficult, requiring an extended expedition with porters and usually air support. Since Puncak Jaya is one of the "Seven Summits", numerous guide services offer such climbing expeditions.